Not all is as it seems on the Martian Queen in this haunting work of science fiction by debut authors Andrew Neil Gray and J. S. Herbison. A solid sci-fi story with some mysterious and suspense elements and a few wicked twists. I loved the premise of a mothballed ship parked in space waiting for more profitable times--or savvy opportunists, whichever came first--and the gradual revelations surrounding this "ghost ship." 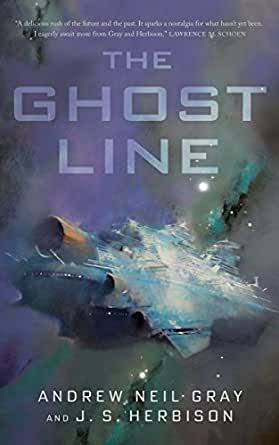 Generally, I don't read a lot of science fiction that doesn't include a strong romantic element, but this story was a satisfying read even without the romance. I'd rate it 4.5 stars if I had that option. 5.0 out of 5 starsWorth the wait. I pre-ordered this book based on it's description. I love stories that deal with abandoned places and things. It was a wonderful read although a short one. It took me only a couple of hours to finish the whole thing, as I hated to put it down, drawn into the story line and all of the characters. I don't know what a sequel would look like, but if there was one coming, I would pre-order it too! This is an interesting blending of science fiction and ghost stories. I wasn't sure about where the story was heading when it made that transition, but it came together nicely in the end. I'm looking forward to more from this collaboration.